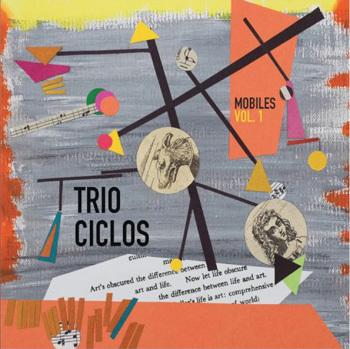 While you will never hear the enormous struggle of the musicians of Trio Ciclos’ impulses to break free of some of the more binding shackles of tradition, there are more than broad hints of it described both in the short booklet notes by drummer Alex Buck and in the broken melodies, curved harmonies and jagged rhythms of their music. The kinaesthetic is mesmerising. It is music of mass and some density; so solid that you can not only visualise it but can almost feel it as its force draws you into the slipstream of the vehicular traffic of bass, drums and piano three mobiles in a type of moving sculpture, seemingly made with delicately balanced or suspended shapes that move in response to touch or the very air they are suspended in. This is the music of Mobiles Vol. 1 born of an acoustic that is impelled by the same currents that forced men like Anton Webern, Alban Berg and Karlheinz Stockhausen, John Cage and Morton Feldman to use their collective weight to turn the river of music against the mainstream of the entire Western classical tradition. It will take more than a single volume of music to do the same to the Brasilian tradition, no doubt, but what a magical way to start. 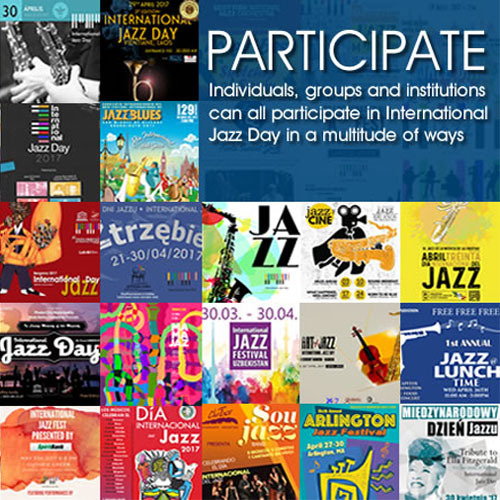 Bending sonic shapes – as the sculptor Alexander Calder bent geometric shapes in various media – Trio Ciclos have created more brazen and infinitely more amorphous musical shapes from the samba, marcha, Maracatu Nação, chorinho, and afoxé; traditional Brasilian forms virtually unrecognisable in this music yet there nevertheless. Here we find some of the most beautifully outrageous sonic excursions emanating ever so organically from the bass, drums and piano – all naturally unamplified instruments – bolstered by electronically produced sounds that impact not only the melodic, harmonic and rhythmic development of the music, but send it in unexpected directions just as the natural – and mechanically manipulated (by electric fans) – flow of air did likewise to Calder’s wondrous shapes in his celebrated mobile sculptures. The music of Trio Ciclos comes from a colour palette of pitched percussive instrumentation creating a strangely hypnotic sound-world which moves back and forth between the African and the Caribbean sound-world, occasionally flirting with that of the broadly European one as well. Wholly original works created on the skins of the drums, acro and pizzicato roars and rumbles of the steel strings of the contrabass and on the keyboard, and inside the womb of the concert grand piano – sometimes embellished by electronically created impulses as well. And exemplary piece with instant allure is “Curaçao Mobile”, with its complex rhythmic structure and capricious bursts of instrumental crossfire that make enormous demands of the performers. Meanwhile “Koan n. 2” and “Mobile saudade” both with furious keyboard assaults, jagged lines and unremitting rhythmic pile-ups give something absolutely new to the world of contemporary music – Brasilian or otherwise.